Tuesday, April 16, 2019, 7:30pm. At Temple Emanuel, 300 North Clark Drive, Beverly Hills, CA 90211. Parking available on local streets and in the Temple’s reserved parking garage located at the corner of Burton Way and Herzl Way. Your ticket(s) will be mailed to you by Brown Paper Tickets. Really Special Deal! $38: 1 General Admission ticket with one copy of Robert Caro’s Working. 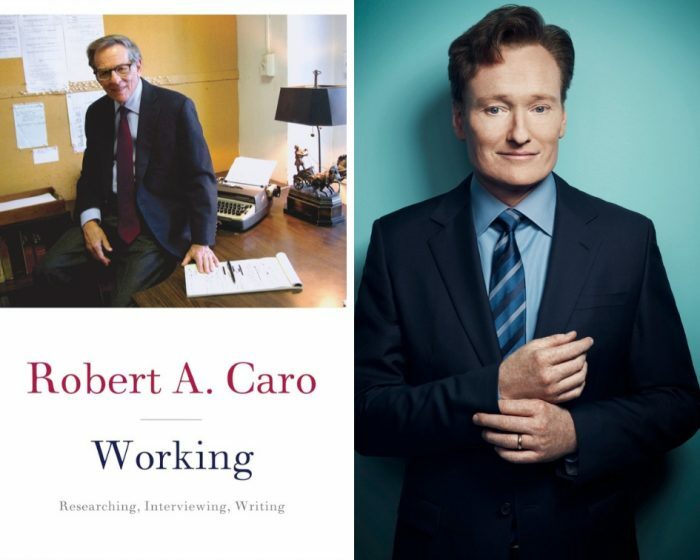 In his new book, Working, Caro gives us the stories behind the books, stories from and about his interviews with witnesses, including with Lady Bird Johnson about her assessment of one of her husband’s beautiful mistresses. Not all people can be engaged in the same way: of particular note is how he chose to conduct his interviews, whether with lawmakers, or the family of LBJ, or with the independent-minded people in the Texas Hill Country where LBJ had his ranch. 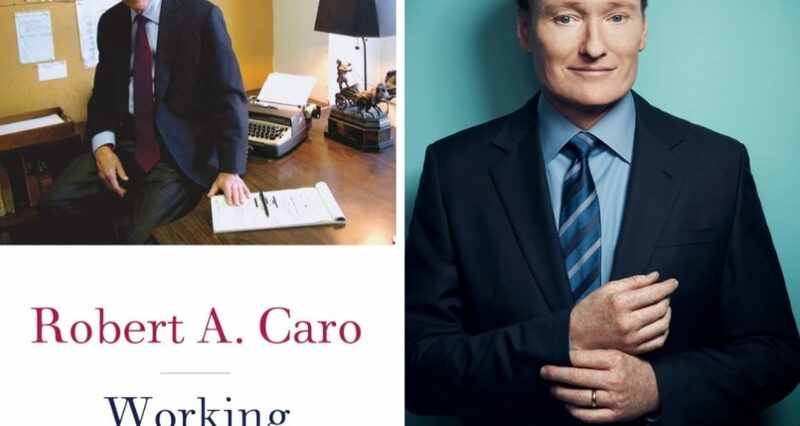 Conan O’Brien is the host of the late-night show, Conan, which airs on TBS. He is also the host of his podcast, Conan O’Brien Needs a Friend. Besides all that, Conan is a noted presidential scholar. This entry was posted in Books, Books, Books, Calendar, Home, Politics, Television. Bookmark the permalink.